City Of Brass players can now choose between male and female characters. The latest update for Arabian Nights-inspired rogue-lite City Of Brass brings new faces to the titular city. Not only can players now choose between male and female characters, two new playable classes are also ready to search for riches while vanquishing cursed souls. Where the Soldier starts with a spear that can stab multiple foes and be pierces with its thrown attack, the nimble Brigand uses mystical throwing daggers to deal with multiple foes. The update also adds an option to save mid-game as long as you're not doing a Daily Challenge and are on the progress screen that pops up at the end of each level. 26 new achievements, alongside a bunch of changes and fixes are also part of the update. You can see everything in this here announcement. 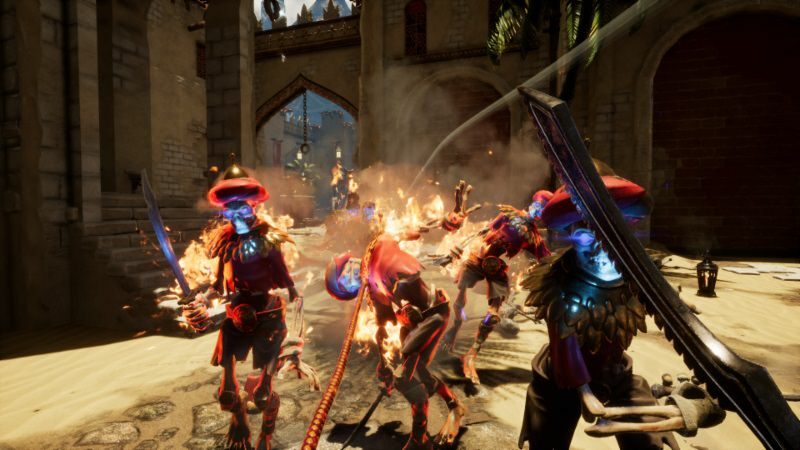 Also check out our City Of Brass review.